Very interesting! There are many things you say that I wasn’t aware of! Thank you! Personally, such a post makes me wonder what you could have to tell us about Kierkegaard’s “Book of the judge” (aka his journal). I know I would personnally be quite delighted to read your opinion about the various editions of this enormous portion of the kierkegaardian corpus. I reviewed the new English translation of Kierkegaard’s journals for The Scottish Journal of Theology (Vol. 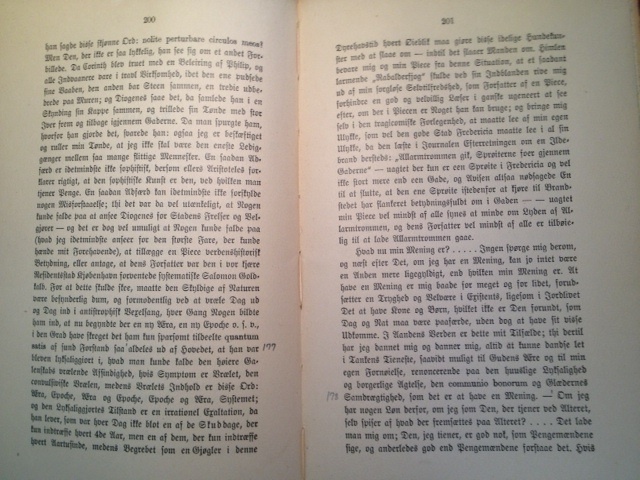 63, issue 02: 249-251). There are going to be many volumes in the new edition and I’ve read only the first volume. My general impression, however, is that the chief virtue of this new edition is that it will be complete, whereas the earlier translation, done by Howard V. Hong and Edna H. Hong for Indiana University Press was substantially expurgated. The new translation did not appear, from the first volume anyway, to be a better translation than the Hongs’. In defense of the new translators, I should point out that the Hongs’ translations of the journals were better than their later translations of the published works. They were a little freer in their translations of the journals and hence did a better job of preserving the wonderful literary quality of the original. They were too literal, or rigid (and sometimes just wrong), in their later translations to the detriment of those translations. Thank you so much for your kind words about the post on the various editions of Kierkegaard’s collected works! Extremely helpful information particularly the final phase 🙂 I deal with such information a lot. Previous Previous post: Publishing News!